Charles Darwin, born in 1809, lost his mother at the age of eight, repressed all memory of her, and poured his passion into solitary walks, newt collecting, and shooting. His five-year voyage on H.M.S. Beagle, when he was in his twenties, changed his life. Afterward, he began publishing his findings and working privately on groundbreaking theories about the development of animal species, including human beings, and he made a nervous proposal to his cousin Emma. Padels poems sparkle with nuance and feeling as she shows us the marriage that ensued, and the rich, creative atmosphere the Darwins provided for their ten children. Charles and Emma were happy in each other, but both were painfully aware of the gulf between her deep Christian faith and his increasing religious doubt. The death of three of their children accentuated this gulf. For Darwin, death and extinction were natures way of developing new species: the survival of the fittest; for Emma, death was a prelude to the afterlife. These marvelous poemsenriched by helpful marginal notes and by Padels ability to move among multiple viewpoints, always keeping Darwin at the centerbring to life the great scientist as well as the private man and tender father. This is a biography in rare form, with an unquantifiable depth of family intimacy and warmth. Padel divides Darwin: A Life in Poems into five chapters, one for each discrete stage of his life. Chapter Two, which addresses his travels on the H.M.S. 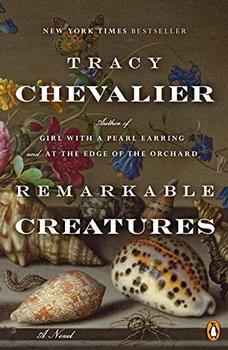 Beagle, pulsates with rich, sensuous imagery that echoes Darwin's enchantment with the natural world. In a parallel to Shannon's encounter with the angelically blossoming tree, Darwin, exploring a Brazilian rainforest, has his own arboreal revelation: "Bristles of orchid leaves on every black branch/like green flames over Bibles./Botanical forms gyrate and pour/through rivers of otherworld bark/and a wrestling musculature of pure/live wood." Far from diminishing his reverence for nature, his burgeoning belief in evolution opens vistas as immense as the sparsely populated American prairies that the Lewis and Clark Expedition had mapped not long before the voyage of the Beagle. Darwin covers its subject's life not only as a scientist but also as a devoted husband and father, and these poems in the collection prove equally resplendent and moving. In "He Ignores His Father's Advice," the renegade geologist metamorphoses into a shy yet determined suitor as he proposes to Emma. The advice that he ignores is to keep his religious doubts secret from his wife-to-be; Darwin, however, believes in totally honesty, and although his agnosticism pains Emma, she sublimates her concern for his spiritual welfare to her love for him. "How Do Species Recognize Their Mate?" even frames natural selection in the context of a beautiful, unsentimental love poem. Despite the vast differences in their approaches to faith, Charles and Emma Darwin's love sustains them both through a series of difficult pregnancies, Darwin's poor health, and the death of their daughter Annie at age ten. This last occurrence in particular haunted Darwin, as he feared that marrying his first cousin may have doomed Annie to become an example of his own doctrine, "survival of the fittest." Most scholars agree that Annie's death in 1851 had a profound impact on solidifying Darwin's religious doubts and in giving him the courage to publish ever bolder accounts of evolution that challenged the prevailing notions of "intellectual design." In "Salting the Seeds," Padel hints at this in the lines "Dawn fog dissolves/among the medlars into a wraith/you see, then lose, in the shape/of a running girl." While Darwin clearly adored his other children (Padel deftly incorporates their loving recollections of him into the later poems), he admits that Annie was his favorite, and the poems in the final section of the book all carry a sense of resigned melancholy despite the fact that he published his scientific theories to great recognition during this period. Padel's empathy with Darwin along with her literary gifts result in a powerful portrait of a man whose ideas have revolutionized the way that we view the world. Abbreviated from "Biography-in-verse" by Marnie Colton (Reviewed by Marnie Colton). Moments of Darwin's life captured with an economy and fluency that prosaic biographers might envy. Ruth Padel’s stunning sequence of poems is infinitely more than an anniversary keepsake or a tribute to her great-great grandfather, Charles Darwin. It is a unique biography. Teeming with facts and creatures, it builds into an imaginative and dynamic response to a man who changed the way we understand ourselves. Padel reveals a unique sense of drama, speed and poetic intensity in what was otherwise a long, sedate and ruminative scientific life. With her gleaming tropical imagery and her ingenious inner "voice", resonant with wondrous and tragic overtones, Padel has certainly given us a renewed and intimate Darwin. [T]his book ...is publishing triumph: a book of poems with a theme and nothing to throw a reader off the scent. A biography in poems is a rare species, and in a Darwinian world we value rare species. Ruth Padel's Darwin: A Life In Poems is a daring and wholly original book. Instead of adding to the many commentaries and biographies of Darwin in established genres, Padel has innovated. Her book is a mutation in the evolution of Darwinian literature, and it is a mutation that has what it takes to survive. More than that, it deserves to thrive. If she omits a few important episodes—most notably his experiences at Tierra del Fuego during the Beagle’s voyage—she definitely gives us a Darwin with whom we can wonder and feel, smile and weep. As reviewer Marnie Colton points out in her blog post at BookBrowse, biographies in poetry form allow for freedom of expression that a more constraining non-fiction prose form might not. Marnie calls the biography-in-verse "a dynamic form that allows poets to revisit the lives of their subjects through imagery, rhythm, and metaphor instead of the more rigid bounds of chronology that biographers must follow. Considering that biographies, autobiographies, and memoirs usually make a strong showing on bestseller lists, the poetic analogues to these forms deserve a wider audience and also provide an ideal introduction to newcomers wishing to dip a tentative toe into the rushing waters of poetry."